Can you believe that American Girl has been releasing a Girl of the Year (GOTY) doll since 2001? 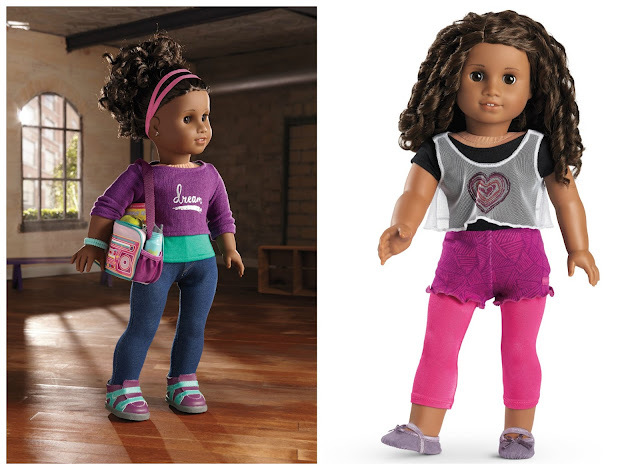 2017 will mark the release of their 15th doll, and I'm so excited that 2017's Girl of the Year, Gabriela McBride, is a person of color! 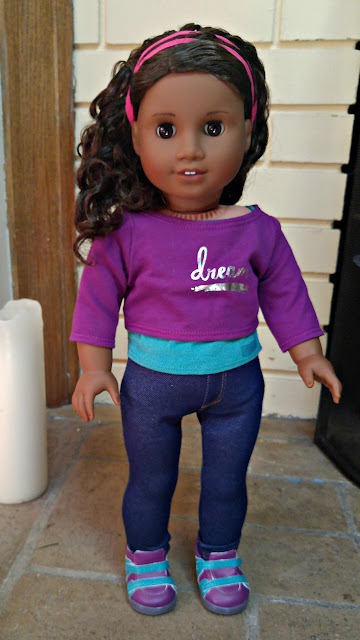 Out of the last 14 dolls, 3 have been girls of color (Marisol is Hispanic, Jess is half Asian, Kanani is Hawaiian American). 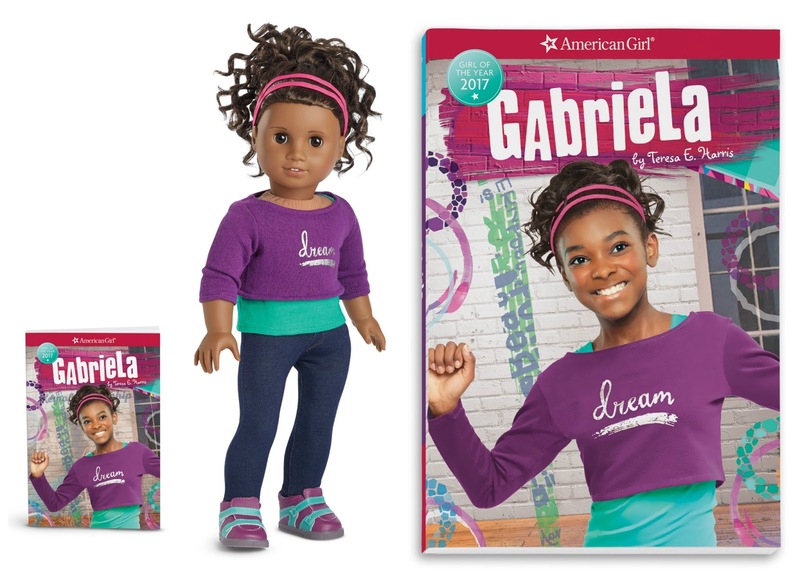 Gabriela is the 4th girl of color and the first African American. 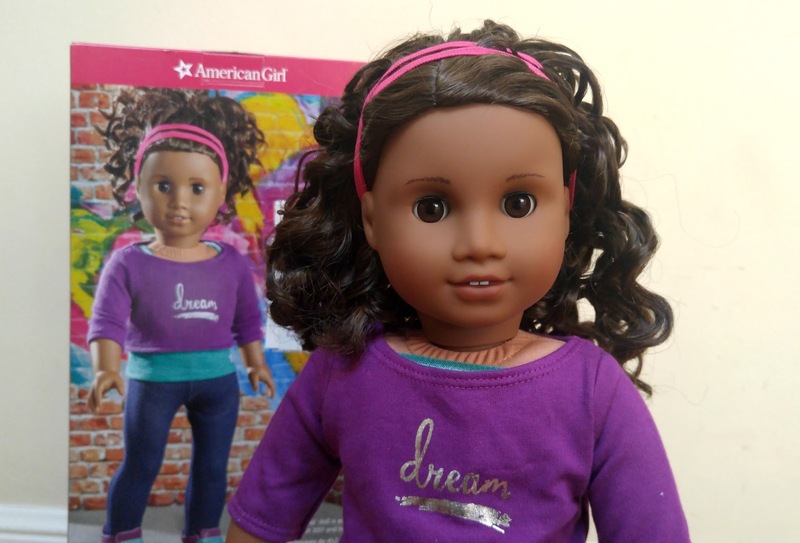 I could not be happier that American Girl recognizes that America is a diverse country and has released a beautiful doll who exemplifies that diversity! I know that many girls have been waiting and hoping for a Girl of the Year that they can relate to on the inside and the outside. American Girl is excited to celebrate the New Year with the debut of its 2017 Girl of the Year - Gabriela McBride! Available January 1, 2017, Gabriela is a true talent who uses her passion for the arts—specifically spoken word poetry—to overcome personal obstacles and create positive change for her community. 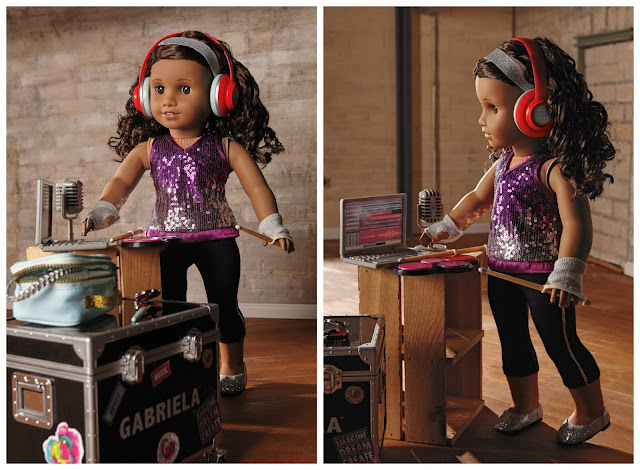 Gabriela launches with a beautiful 18-inch doll, plus several performance-inspired outfits, accessories, and toys. We're also happy to share that, unlike past Girl of the Year characters, Gabriela will be available throughout 2017 and beyond. Yes, you read that correctly: Gabriela will be available throughout 2017 and beyond! American Girl has never done this before -- all other GOTY dolls were sold only for 1 year. But girls don't ever have to worry about missing out on Gabriela! They can save up for Gabriela without a time limit. What's more, whatever the next Girl of the Year looks like, they will always be able to get a Girl of the Year that looks like them. 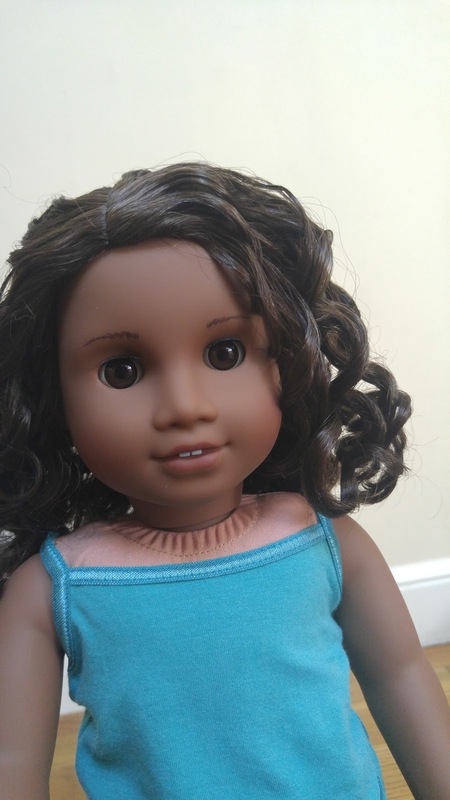 Gabriela has warm brown skin tones, warm brown eyes, and dark brown hair. Her hair is truly her crowning glory. Her hair cascades in a avalanche of natural curls, down past her shoulders. It looks good piled on top of her head as well. 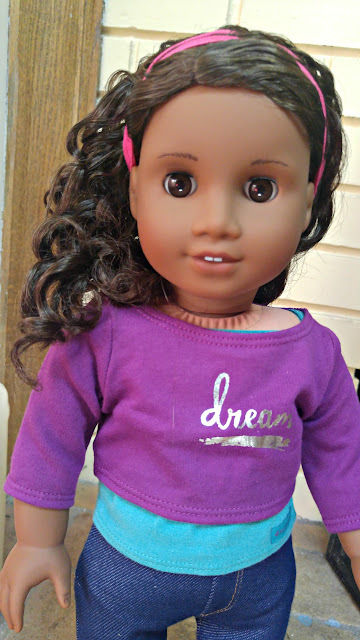 The doll comes with a cute double strand pink headband. 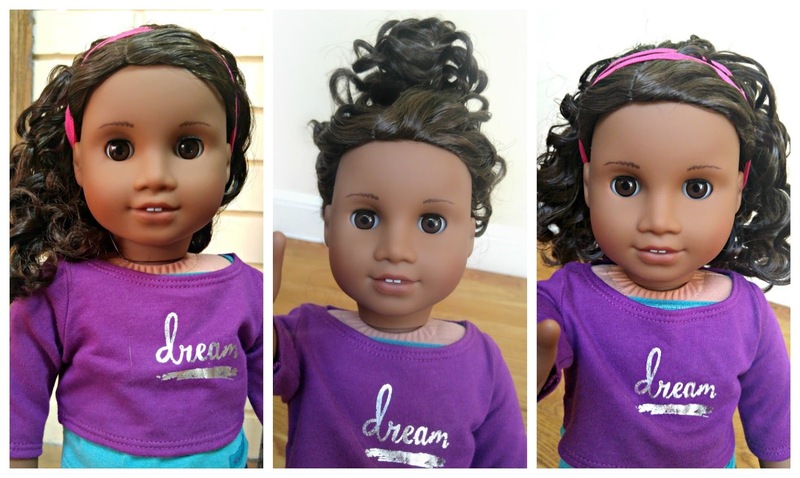 Check out these selfies that Gabriela took! Gabriela wears denim jeggings, a purple sweater, and a teal tank top. Probably the only thing that disappointed me about Gabriela is that the skin tone of her cloth body does NOT match the skin tone of her arms and face. At all. When she wears the tank top by itself, the color mismatch is clearly visible. It's not so obvious when she wears shirts with a neckline that is not as open. 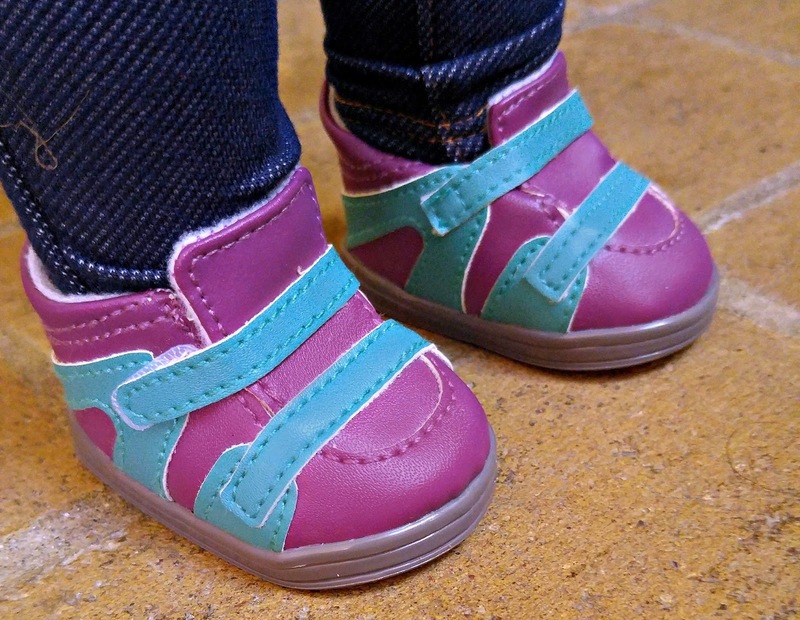 Gabriela's shoes are adorable. They are high-top sneakers! The purple and teal colors match her tank top and sweater. Gabriela is a multifaceted person that kids will really be able to relate to. She's a poet and a dancer. She has a speech impediment (stuttering). She is passionate about the arts and passionate about her local community arts center. She wants to make a difference in her local community. She is a great role model and I hope lots of girls read her story. Gabriela outfits include PJs ($24), a rehearsal outfit (pictured below, $28) , tap shoes ($16), and a glitter performance outfit ($32). Her accessories kit (pictured below, $28) is a dance bag with everything she needs for rehearsal: the bag, water bottle, bandages, hair accessories, and food. The photo below shows Gabriela wearing her Sparkling Sequins Outfit ($32). She's using her Performance Case ($48) to set up her next amazing music and poetry performance. I think the Performance Case is a great deal because it comes with so many items: a wheeled rolling case, a laptop with retractable cord, headphones, microphone, drum pad, drumsticks, and stickers to decorate the case. Gabriela's Creative Dance Studio ($58) has so much potential for open ended play! The backdrop is reversible so it can be the inside of a dance studio or the outside of a building. The set also includes a metal dance barre, water bottle, and towel. 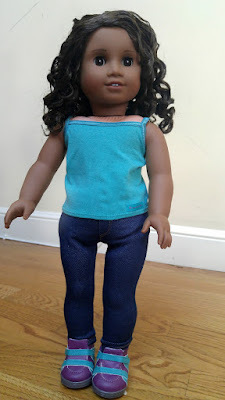 I plan to head over to the American Girl Store to take more photos of Gabriela, her playsets, her accessories, and her outfits, so stay tuned! 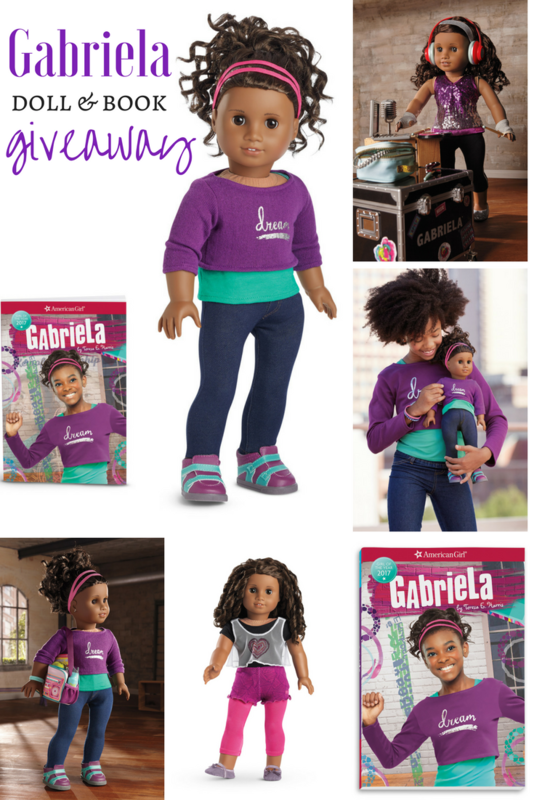 One lucky Bonggamom Finds reader will win a Gabriela doll and book! Enter via the Rafflecopter widget below by 11:59PM on February 3, 2017. Good luck! Disclosure: I received a product sample to facilitate my review, but have not been paid to review the product or give my opinions. 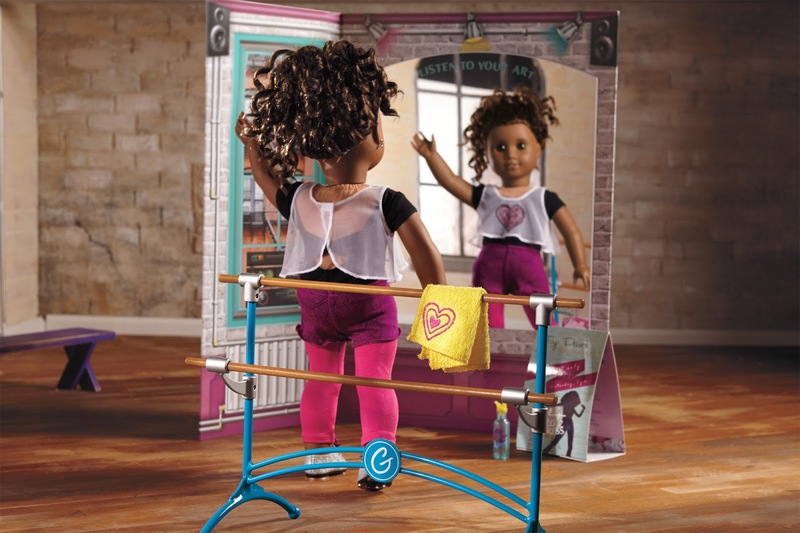 Product information (in italics) is provided by American Girl. The views and opinions expressed here are my own.